Football fans are to be given the chance to ‘Kiss Bigotry Goodbye’ as part of a new tour to highlight the positives of the ‘Beautiful Game’ across Scotland. Campaigners Nil by Mouth today launched a ten-date tour that will see the charity visit clubs and supporters groups to help highlight the positive impact football has on communities across the country. 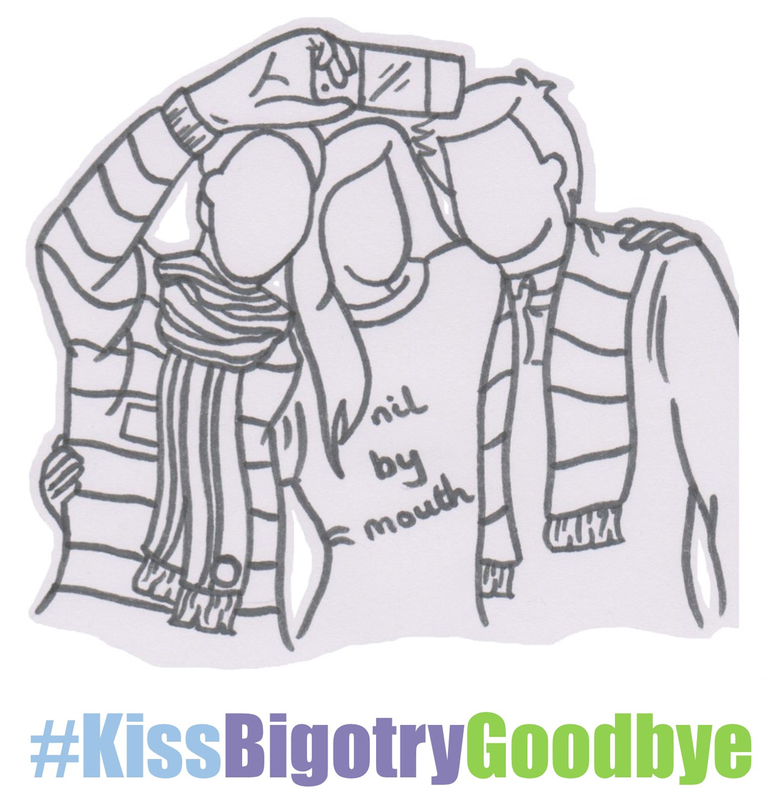 The campaign, which has already seen hundreds of fans post pictures online using #KissBigotryGoodbye, will feature football quizzes, readings from acclaimed author Daniel Gray and ‘selfie-stalls’ encouraging fans to post images of what make them love the game. Support from the Scottish Government has ensured these events will be free of charge and the charity hope the tour will provide fans the chance to learn more about work being done to tackle bigotry on and off the terraces. It will be launched tonight in Leith and will also include events in Glasgow, Dumfries, Selkirk, Coatbridge, Paisley, Cowdenbeath, Bathgate, Dundee, Kilmarnock and Ayr. Nil by Mouth was set up by teenager Cara Henderson after the brutal sectarian murder of her school friend Mark Scott as he made his way home from a football match in 1995. Since then the charity has campaigned against sectarianism including recently seeking to give fans a vote on the introduction of ‘Strict Liability’ at SPFL football matches in an effort to tackle sectarian abuse in the stands.